Wigmore Castle occupies a high ridge just west of the centre of Wigmore village, in the north of Herefordshire. The castle was for many years the seat of the powerful Mortimer family, until the Mortimers moved elsewhere. 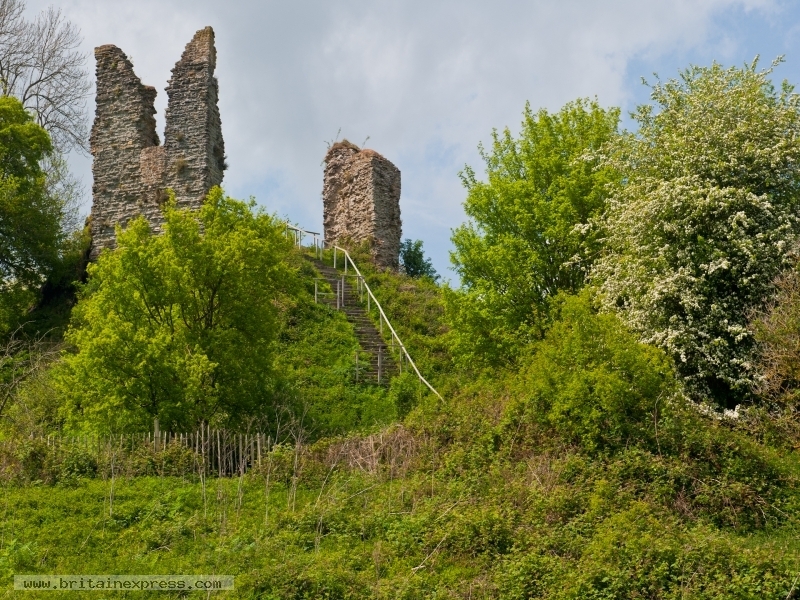 The castle ruins are extremely impressive, and quite substantial, so that it is a surprise that the castle is not better known. You can get fabulous views if you take the time to climb right to the very top of the castle.